If you had to ask me what my favourite meal of the day is, I'd have to say brunch. Savoury or sweet, brunch always feels like a special occasion. Brunch gives you permission to sleep in and enjoy slow weekend mornings; it's a meal made for good conversation and indulging. 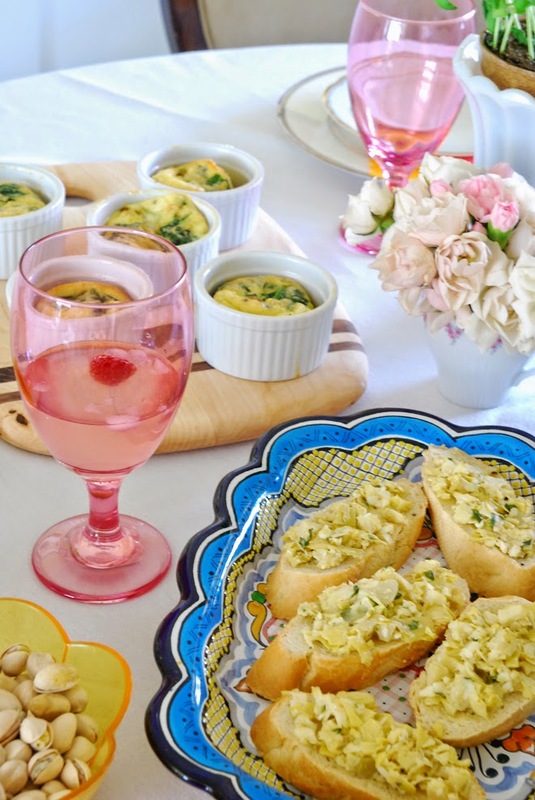 So when it comes to Mother's Day and celebrating our hard-working moms, a relaxing brunch seems like the perfect idea. 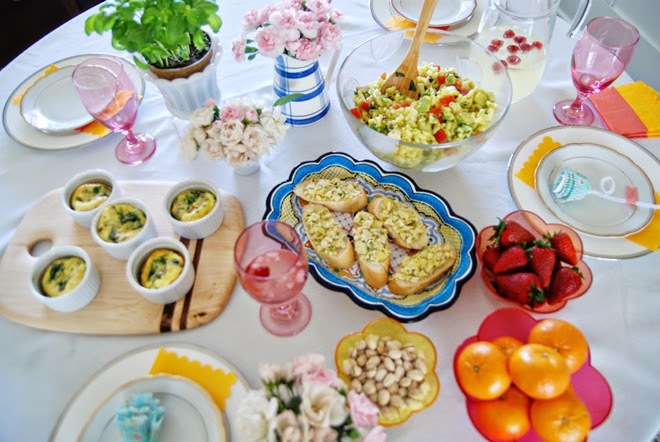 I've teamed up once again with Barilla to give you spring brunch inspiration and share ways to celebrate the special mothers in your life. 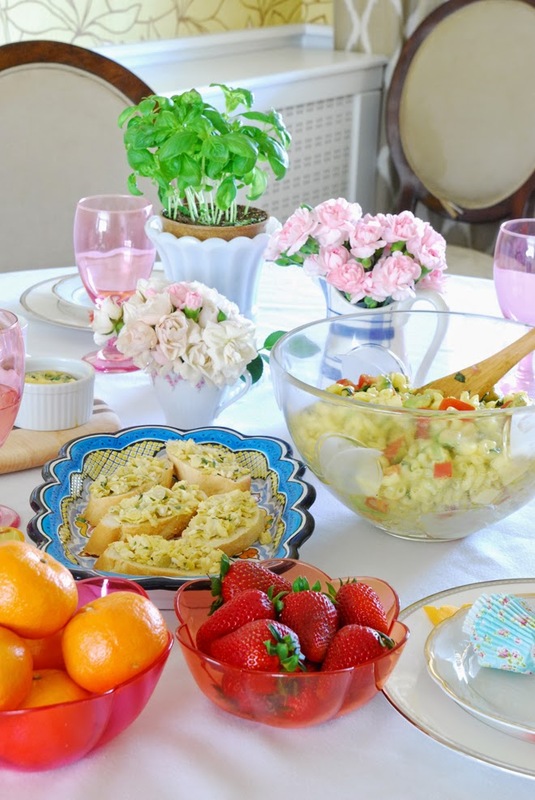 For me, the day is all about incorporating personal touches and catering to mom's tastes. 1. Fill the menu with Mom's favourites foods. These dishes featured some of my favourite ingredients... artichokes, spinach and goat cheese, and fresh ripe strawberries. My husband and daughter aren't too keen on artichokes but for my special meal, they indulged me by eating up this artichoke parmesan crostini. 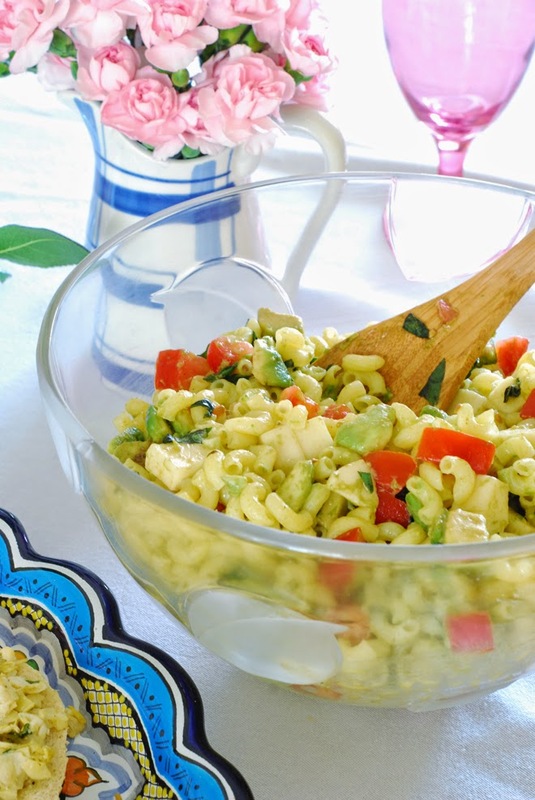 For the main dish, we gobbled up this delicious Elbows Salad with Avocado, Tomato, and Mozzarella - and when I say gobbled up, I mean my husband had four servings and my daughter scooped out all the avocados. 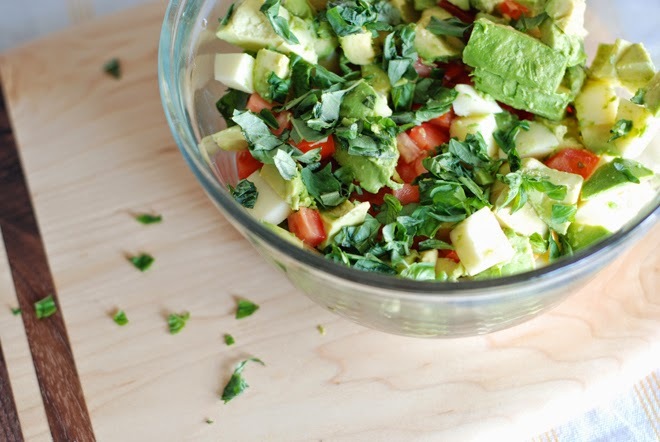 I love love love avocados and fresh basil and this recipe was bursting with spring flavour. I made the pasta with Barilla's Gluten Free Elbows which had a suprisingly nice texture and taste. 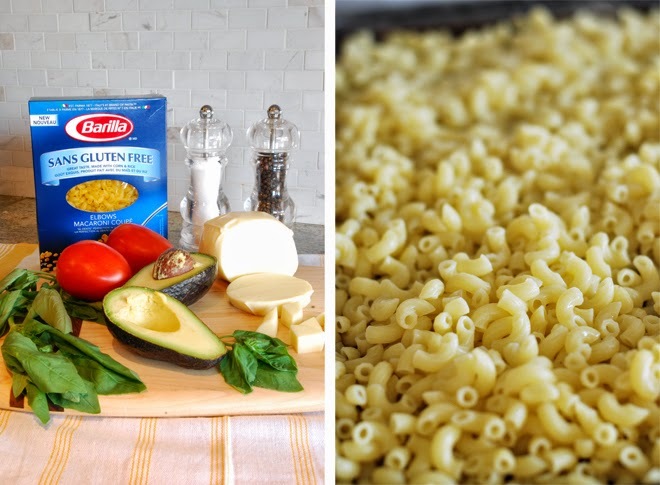 Barilla offers a range of products that are made with non-GMO corn and rice in a dedicated gluten free facility. It's good to have that option, especially when you're entertaining and may have guests that are gluten intolerant. 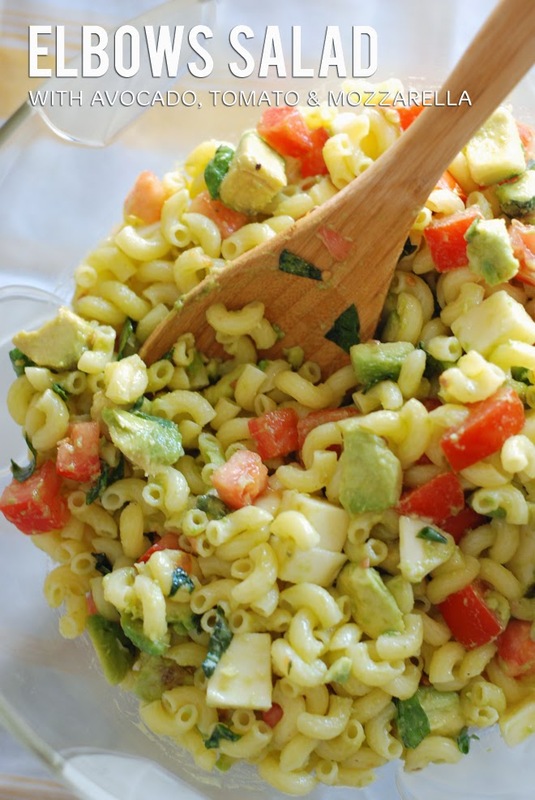 Just be sure to stir the gluten free pasta more often while it's cooking. I also let the mixture marinate for about two hours to get it nice and flavourful. 2. Decorate with what you have. Party preparations can feel like so much work, can't they? 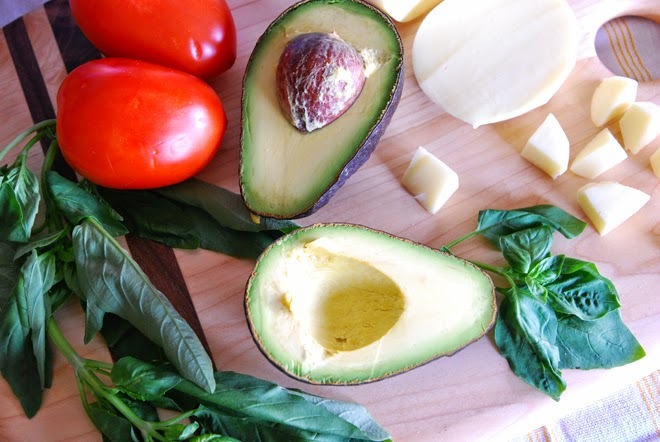 Cut your stress in half by decorating your table with things you already have in your house or in your fridge. 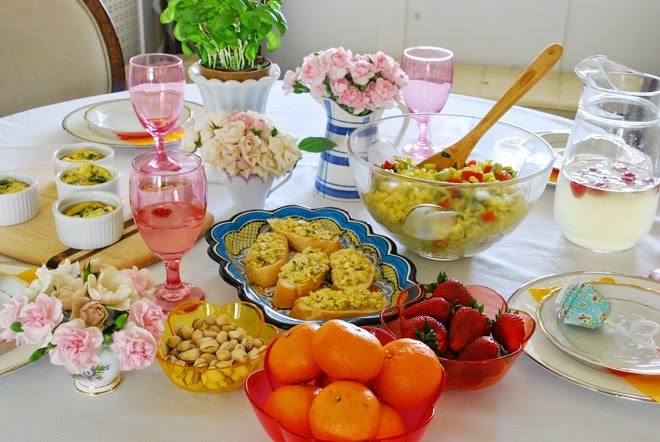 Put fruits in bowls for easy decorations, or pop a basil plant in a vase for a colourful and fragrant centerpiece. 3. Set a pretty table. How do you show Mom you love her? 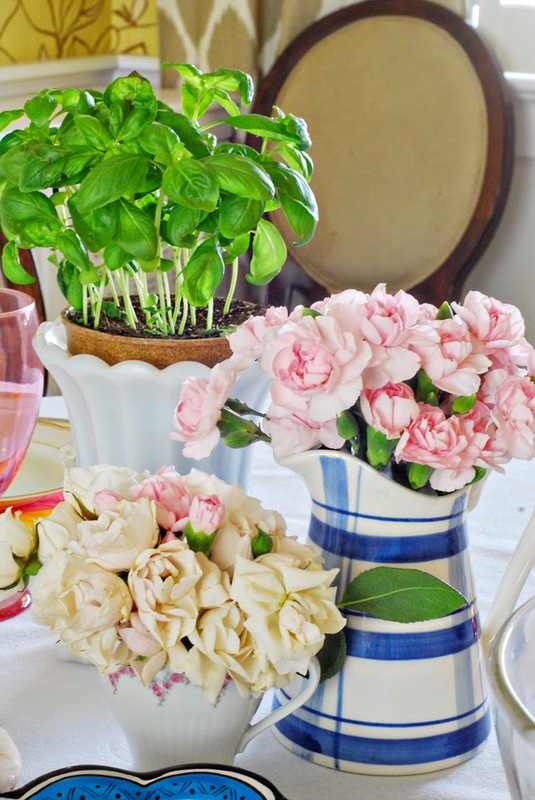 By setting a pretty and feminine table that makes her feel special. Flowers do just that. 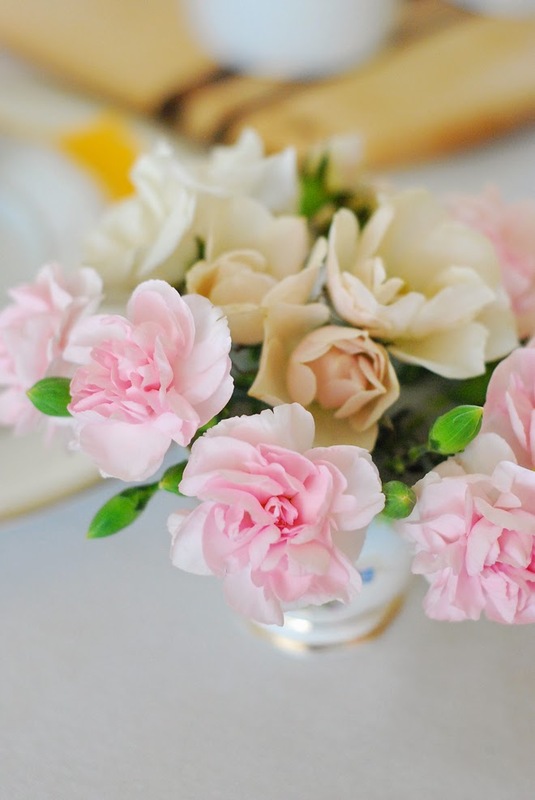 I filled a pitcher with mini carnations and put a few blooms in vintage teacups to create individual arrangements. I also like a rosy colour scheme for Mother's Day so I used pink glassware and cute pink and orange scalloped bowls on the table. A few raspberries in the lemonade added another dash of red. 4. Give her a gift from the heart. Whether you make her handmade bath salts, put together a garden marker kit, or get your child to make Mom a hand-drawn card, thoughtful and personalized gifts are always cherished. 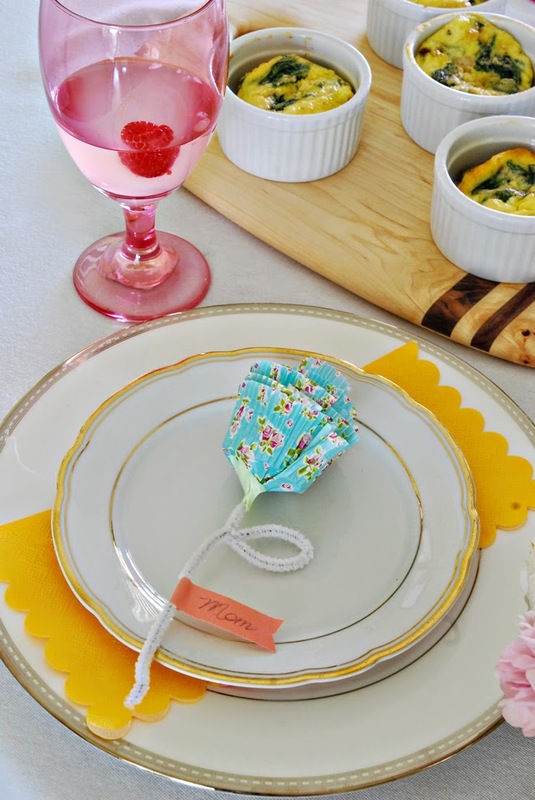 For this meal, I asked my husband and daughter to craft cupcake liner flowers to serve as placecards. It was a simple gesture and really made my five-year-old excited that she was making something for Mom. I've already tucked mine beside my mirror as a sweet keepsake. 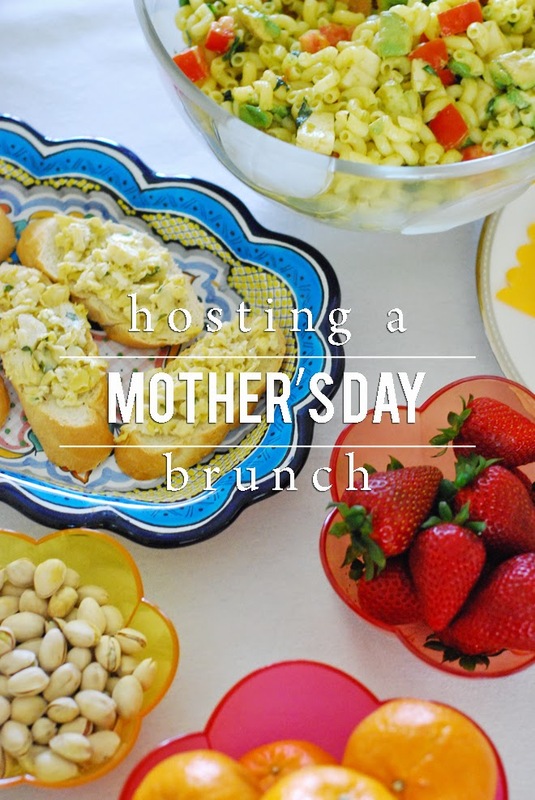 With a little bit of effort, you can host a mother's day brunch that will leave Mom feeling extra special and loved.